Soccer is one of the most popular sports around the world. In America, it’s mostly played by kids and college students, but adults are catching onto the fun of the sport as well. When it comes to playing or practicing soccer, it’s essential to have the right gear. You need some cleats, shin guards, a net, and a high-quality ball. Choosing the right kind of ball isn’t easy. There are literally thousands of options on the market, ranging in sizes and styles. Soccer balls are made up of two parts: the casing and the bladder. The casing covers the outside of the ball, while the bladder holds the air inside the ball. Soccer balls range in size from one to five. But size do you need? What type of ball is best? We’ve reviewed dozens of soccer balls in order to find the best, highest-quality soccer balls at any budget, based on factors such as size, type, quality of materials, Amazon ratings, and other considerations. We narrowed our search down to five of the top-rated soccer balls that are on the market today. Meet the Under Armour Desafio 395 Soccer Ball, the best soccer ball you can buy. We’ve identified the Under Armour Desafio 395 Soccer Ball as the best soccer ball overall. While it’s a little pricier than some of our picks, it is made of Under Armour’s patented Touchskin technology that delivers superior feel and touch. These features, coupled with the fact that it has a high rebound rubber bladder, make it an excellent choice for all kinds of soccer players. 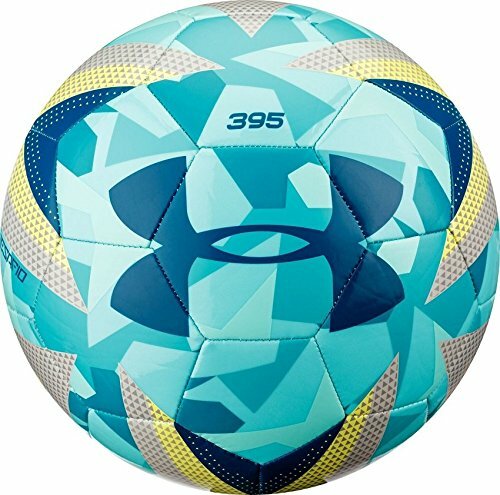 If you’re looking for a soccer ball that knocks the others out of the park, look no further than the Under Armour Desafio 395 Soccer Ball. This ball features Under Armour’s Touchskin technology that delivers unparalleled feel and a soft touch. The cover is made with PU (polyurethane) to provide a great power transfer. A SBR foam layer is added for softness. The ball also features a high rebound rubber bladder to provide great touch and control. Reviewers love the high quality of the ball. It’s the perfect combination of firm and soft – perfect for scoring goals and quick rebounds. They also say that the ball retains its air exceptionally well. In fact, one reviewer uses the ball for his teams’ home games and didn’t needed to fill the ball with air all season. Reviewers also love the balls come in such bright and vivid colors.
. A bit more budget friendly, the Wilson Traditional Soccer ball is a solid option that checks all the boxes. A bit more budget friendly, but still an amazing option, the Wilson Traditional Soccer Ball is built to impress. The Wilson Traditional Soccer Ball features a synthetic leather cover that has an extremely soft touch and increased durability. The butyl rubber bladder is excellent for air and shape retention. The ball features traditional black and white panel graphics with silver accents. Over 70 percent of the 1,300 people that have reviewed this soccer ball have given it five stars. Reviewers love the quality of the ball for the price. They also appreciate its extreme durability. Despite rigorous beatings from kids’ travel teams, backyard warriors, and even a miniature donkey, these balls hold their shape like none other. This affordable soccer ball is durable and comes in several colors and sizes. 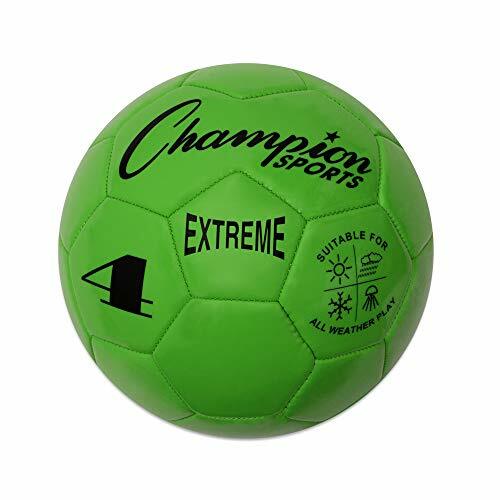 At just $6.99, the Champion Sports Extreme Series Composite Soccer Ball is the perfect choice for soccer players on a budget. This Champion ball is made with TPU, a hybrid of soft and hard silicone. This material offers smoother handling, juggling, kicking and passing. Designed for high-retention, accuracy, and high use, this ball features machine-stitched panels and reinforcement. They’re intended to maintain their composition – even in the most intense conditions. Reviewers love the quality of this ball for the price. They claim the ball is well-made and retains air well. They also like that the ball comes in bright colors so it’s easily visible on the grass. 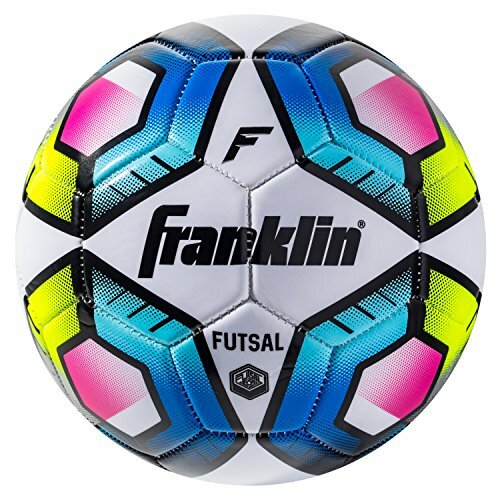 The Franklin Sports Official Futsal Ball delivers a size 4 ball that doesn’t disappoint. If you’re looking for a youth size soccer ball, the Franklin Sports Official Futsal Ball doesn’t disappoint. This soccer ball is crafted with a soft abrasion resistant cover that provides an excellent touch and feel. It’s created with a stuffed and wound low bounce bladder. It features dynamic colorful graphics to increase visibility on the turf and grass. It’s perfect for use in recreational leagues for children ages 8 through 12. It’s also ideal for older players to use for working on footwork and ball control. The adidas Performance X Glider II Soccer Ball is the best glider soccer ball you can buy. If you’re looking for a glider soccer ball, the Adidas Performance X Glider II Soccer Ball delivers. It’s the perfect ball for practice and drills. It features machine stitched construction and internal nylon wound carcass. The special TPU exterior material resist scratching and lasts longer than typical PU casings. The butyl bladder increases air retention to keep the ball’s shape and stay inflated longer. Bright colors make the ball easy to spot on the turf. Reviewers love the high-quality durability of this ball. They report that it has a nice soft touch and feel. All in all, they agree that it’s a great ball at an affordable price. Whether your kid wants to join a recreational league or you just want a ball to kick around in the backyard, anyone who wants to play soccer needs a soccer ball. While the game of soccer doesn’t require a lot of gear, a ball is essential. If you’re looking to join a recreational team, play non-competitively, or just practice juggling a football in your spare time, a training ball is a perfect option. These are typically less expensive, and made with durable materials that will last through rigorous play. These types of balls are built to stand up to heavy-duty use and lots of practice. On the other hand, match balls are used in official games in a competitive league. These balls are intended for high performance, but not necessarily durability. They offer optimal touch and flight during games, but won’t get you the kind of high-use that training balls will. They also will run you about $100.00. To stay on top of your game, check out our reviews of the best shin guards, the best soccer cleats, and the best soccer goals as well. Size. Size is one the biggest factors to consider when purchasing a soccer ball. Size 1 is a mini ball and is typically used to improve footwork or just for fun. Size 2 soccer balls are sometimes used for children under four years old, but can also be used for footwork drills. Size 3 soccer balls are used for official matches for children under the age of eight. Size 4 soccer balls are used for children between the ages of 8 and 12. Finally, size 5 soccer balls are the largest official ball and the standard for all players above the age of 12. Casing materials. Casings, or the outside of the ball, are usually made of either PVC (poly vinyl carbonate), PU (polyurethane), synthetic leather, or a combination of materials. PVC balls are typically cheaper and extremely durable. However, they’re also typically harder. PU balls are higher in quality and softer than PVC balls. Synthetic leather balls are designed for optimized performance and are even used for professional match balls. It delivers increased control and touch. Latex or butyl bladder? Bladders are the compartment inside the soccer ball that holds the air. They are constructed with either latex or butyl. Latex bladders are softer and offer more control. Butyl bladders hold air better than latex bladders, but they are more firm. Match ball v. training ball? Match balls are required for official matches. They must follow official regulations as to size, weight and shape regulations. Training balls are meant for practice and recreational use. They are also are made specifically to be used for an extended period of time, so they’re more durable than match balls. What size ball do professional soccer players use? Professional soccer players use a size 5 ball for official matches. Officials will check the ball to make sure its regulation size, which is between 26 to 28 inches in circumference. During practice, professional soccer plays may use a size 1 or 2 ball to practice footwork and work on ball control drills. What is a size 4 soccer ball? A size 4 soccer ball is used in matches for children between the ages of 8 and 12. It is between 25 and 26 inches in circumference. This mid-size ball allows younger players to get accustomed to their skill set and learn the basic footwork before moving on to a professional size ball. What is a glider ball in soccer? A glider ball is a practice or training ball. It features durable construction, but is made of lower-end materials than a true match-quality ball. Therefore, it’s a bit less expensive, making it perfect for backyard or recreational use. What is the biggest soccer ball size? The biggest soccer ball is a size 5. Size 5 soccer balls are roughly 8.5 inches in diameter and 26 to 28 inches in circumference. They are almost 10 inches larger than the smallest ball, a size 1, which is used in practice to work on developing footwork and ball control. We looked at 20 other soccer balls. Even though they didn’t make our 5 best soccer balls list, they’re the best of the rest and each is still a great option. The information you’ll need to compare each one is included with the listing. The Adidas Performance ball features machine stitched construction and internal nylon wound carcass to provide maximum durability and high-use performance. It has a butyl bladder for superior air retention. The NIKE Path features visual acuity graphics that help you improve tracking on the pitch. It also has a durable and smooth casing for long-lasting durability and precision. The Nike Pitch Team Football features vivid graphics so it’s always extremely visible during play. Its durable design offers precise flight. One World Play Project is a whole new soccer ball. It’s unpoppable, made of ultra durable popfoam that can withstand anything you throw at it. It will never deflate or pop! With soft, synthetic leather, the Mikasa Sports ball provides long-lasting durability. It also features a butyl bladder for maximum air retention. The hexagonal shape panels have been stitched together in this Adidas ball to enhance its durability and shape retention. The casing of the ball is constructed of TPU material greater durability and a soft touch. 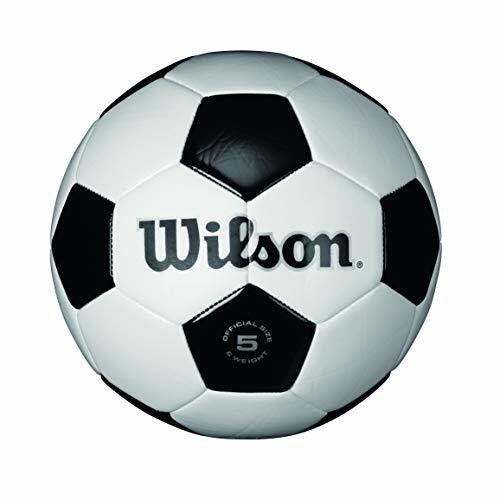 This Wilson soccer ball features a black anodized cover material designed with camouflage graphics. It’s constructed with synthetic leather material that’s sponge backed for soft touch feel. In honor of the legendary player Leo Messi, this ball features unparalleled durability and performance. It features machine stitched construction and internal nylon wound carcass with a butyl bladder. This adorable Franklin Sports ball features a padded Air Tech padded cover so the ball is easier to kick and catch. This ball is a size 3, perfect for the youngest players. This ball features a high gloss sponge PVC cover combined with a Shok-Sorb cushion system. This combination produces a ball with a soft cover, great shape retention, and dynamic performance. The Lionstrike soccer balls are designed to be 25% lighter than other size 3 leather soccer balls, making them much easier to kick, catch, and throw. They are made from a soft PU leather so they hurt less when kicking or heading the ball. The Crocodile Creek soccer ball is heavy-duty inflatable soccer ball made from high-quality synthetic leather with a rubber bladder. It features beautiful and fun designs that keeps kids interested in the game. The Vizari ball features fun dinosaur graphics on a 32-panel ball. The ball features Mst and close stitched technology with a rubber bladder for superior air retention. This Franklin soccer ball features graphics from your kids’ favorite movie, Frozen. It features an Air Tech foam cover that is easy to grip and kick. The Adidas Performance MLS features special TPU exterior material that is designed to last longer and resist abrasion. The butyl bladder helps keep the ball’s shape through hours and hours of play. Built in honor of the FIFA World Cup, this ball features machine-stitched for soft touch and high durability. It features a unique textured surface for an improved touch. This ball features a design is inspired by the MLS pillars: club, country, and community. It is made with machine stitched construction and internal nylon wound carcass with special TPU exterior material. The Adidas Predator delivers top-level control, flight and durability. Machine stitching provides a soft touch and an injection-molded rubber bladder helps it stay inflated through heavy-duty use. 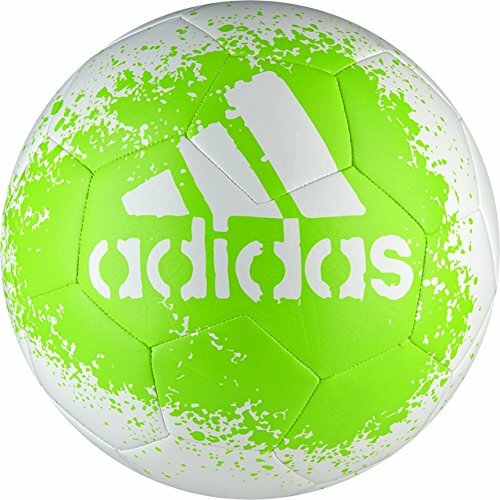 This Adidas glider ball is modeled after the World Cup held in Russia. The ball is constructed with nylon-winded carcass TPU material to ensure soft touch and extreme durability. The Ace Gilder ball is perfect for daily practice and drills. It features machine stitched construction and internal nylon wound carcass for the ultimate in durability and performance. Rebecca Desfosse is a frequent contributor at Sports Life Today. She’s a freelance writer who has been writing about sports and lifestyle topics since 2011. She has contributed to publications such as Family Education, What to Expect, Care.com, and more. Rebecca and her husband are raising two amazing boys at the Jersey Shore. She’s passionate about sharing creative and unique ways parents can enrich the lives of their children and enjoy all the joys of parenting. Sports Life Today (SLT) is a free resource for sports fans, providing everything from in-depth product reviews to sports gear advice. SLT is owned and operated by RKT Publishing. Read more about us and how we’re supported by affiliate commissions. Have an idea to improve Sports Life Today?